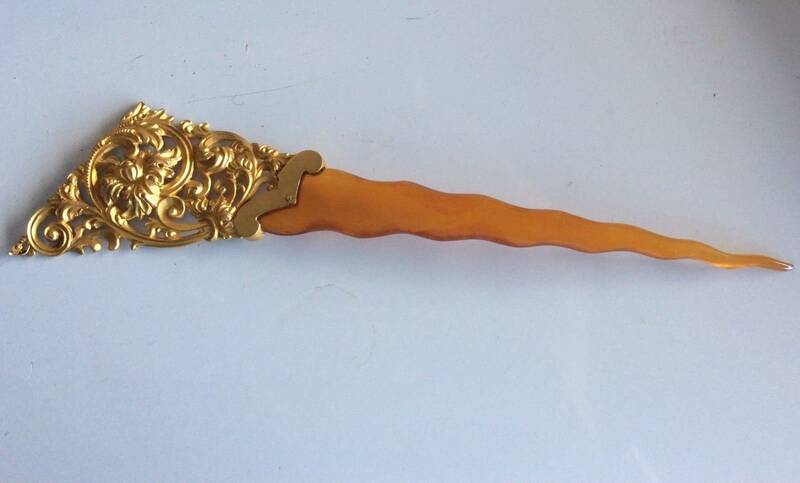 14K Solid Gold, Antique Ladies Hair Comb.. Ornate Repousse Top 6.5” Lavishly Intricate. 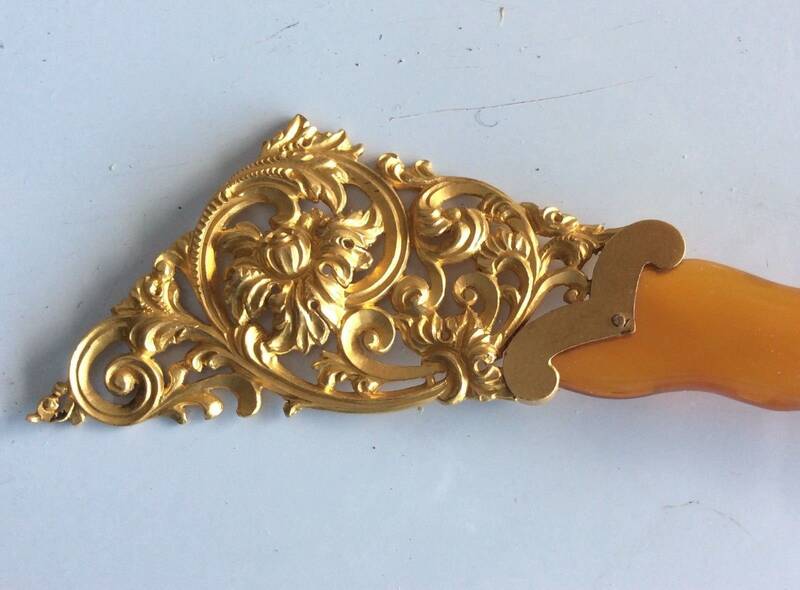 Exquisite antique 19th century Victorian solid 14K rich yellow gold lady's hair comb mounted onto its lovely carved translucent blonde fork. 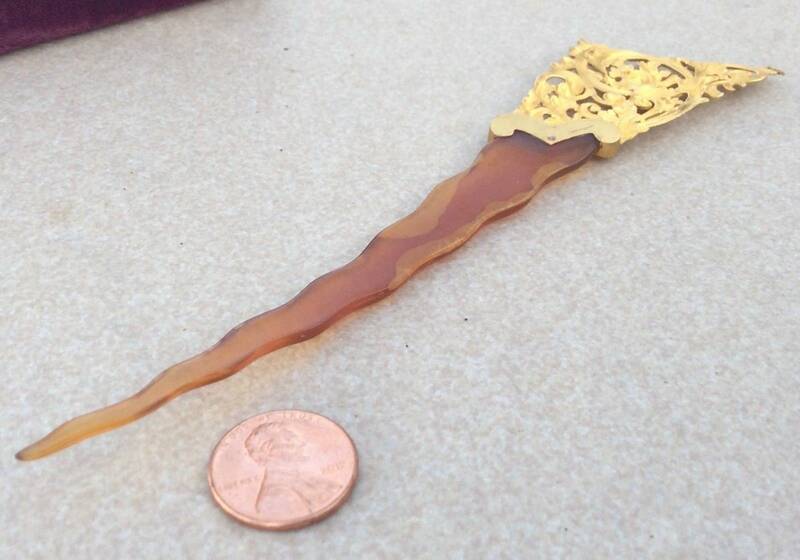 Entire hair comb measures approximately 6 1/2” long x 1 1/2” wide" wide at the top. Weighs 14 grams. 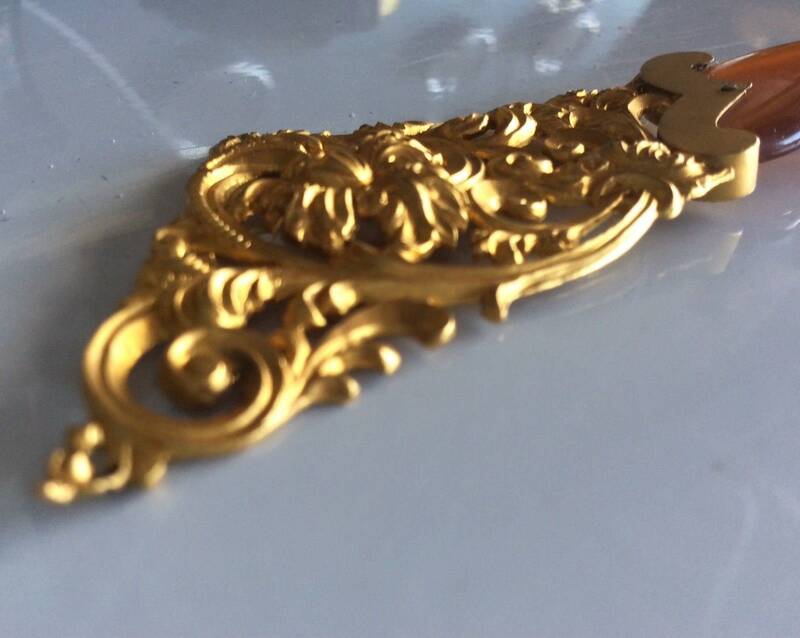 The fabulous 14K gold is lavishly engraved, carved and pierced. Amazingly intricate and ornate. Even the back side has hand worked chip carved engraving. 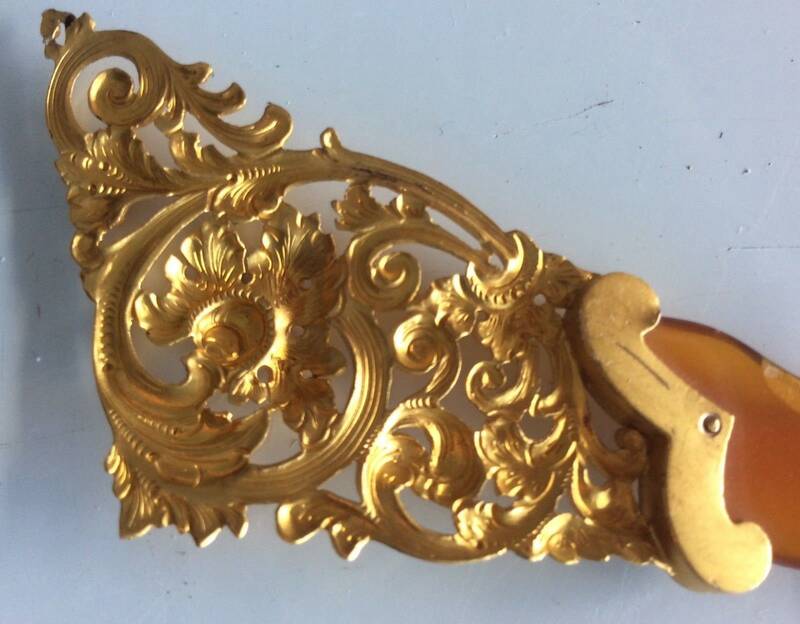 Everything is in excellent all original antique condition. Must have been owned and worn and enjoyed by some very wealthy Victorian lady. Rare find especially in such fine original condition.